Many people in Nevada think that their estate planning is complete once they have completed a last will and testament. However, an alternative they may not have considered involves revocable trusts. This option acts similarly to a will, but may in fact prove to be better suited to many people’s needs. 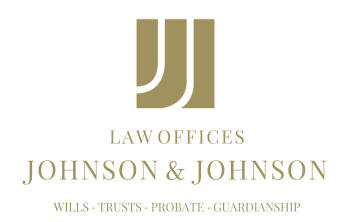 One of the biggest advantages a revocable trust has over a will is that it avoids probate. This means that the family of the deceased does not have to go through the often lengthy and expensive process of probate, waiting on court deadlines and judicial approval before assets can be transferred and distributed. While a probate proceeding can take months or even years to complete and involves many time-consuming steps, revocable trusts make the administration process quicker and less expensive, foregoing court costs and some additional legal fees often charged for probate administration. Another benefit of revocable trusts is the privacy they afford. While a will becomes a public record, accessible to anyone, trusts do not have to be recorded with a court. Court proceedings and probate are public matters, which also introduces the opportunity for individuals to contest a will, but a trust can help safeguard against this possibility. Assets in an estate become public knowledge after a will is filed with the clerk of court, but trusts can involve only those people concerned with administration of the trust or named therein. Trusts can be customized to specifically fit the particular concerns and needs of the individual and family involved. They can allow for care of a special needs family member or for money to be held in trust for minor children, and they can also ensure that specific family members, such as an in-law, does not receive any share of the inheritance. Revocable trusts can be much more useful than many people in Nevada may realize, accomplishing many of the goals in estate planning while also making their execution quicker and smoother after the individual dies.